We all agree that the weeks after the long weekends are the hardest, right? Because I believe this to be a truth, I’m feeling like THIS weekend should be the special one. We’re celebrating making it through a gob-ton of rain and FOUR WHOLE DAYS OF WORK. We’ve earned this. 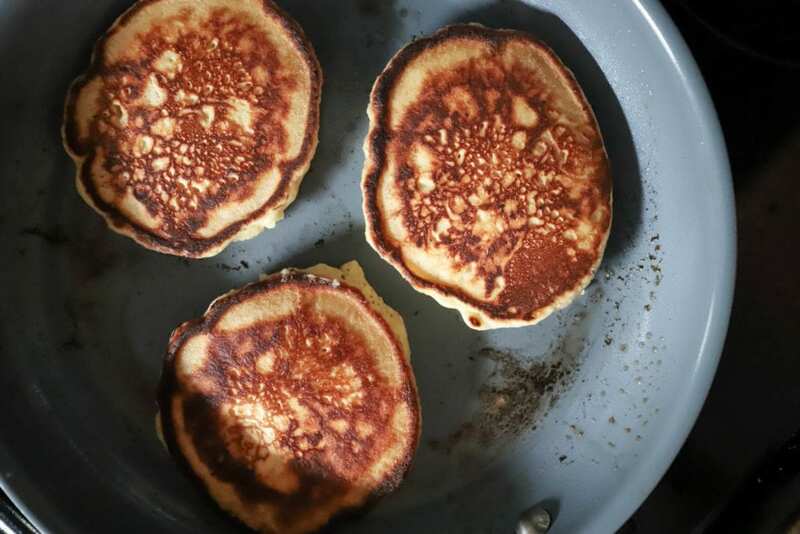 I’ve made these pancakes three or four times now, after maybe a year of trying different recipes for things labeled “regular pancakes” or similar. 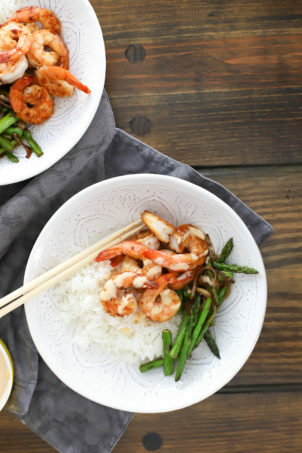 There are gazillions of recipes like this on the internet, but this is the first one that I’ve been consistently impressed with. 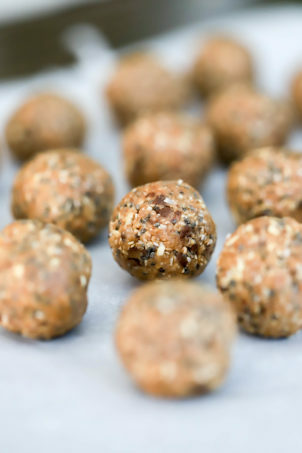 It doesn’t have random ingredients, the measurements are simple (lots of 2-of-x), and the quantity isn’t so massive that you need to have your entire extended family over to enjoy these. Or may be we eat large portions. 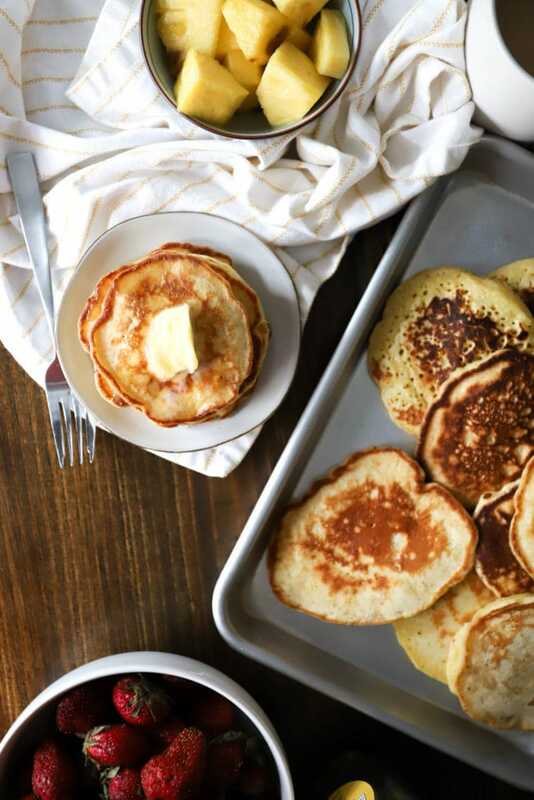 The original recipe is by Mark Bittman, but I found it on Tracy’s site and her pictures made me feel like these were the pancakes of my weekend dreams, for sure. These pancakes are, in a sense, regular, but I don’t see that as a bad thing. I’m all about jazzed up things, but a plain waffle? pancake? burger? Some classics are, to me, perfect as they are and I’d much prefer to have a basic version over and over than be constantly reinventing something that’s already great. This is particularly true for me re: breakfast foods because we don’t make them a ton, so when we do I’m all about ease and nostalgia. Beck has taken to “helping” make these pancakes, and loves them plain, although waiting for them to cool down is so.hard. “I DON’T WANT THESE PANCAKES TO BE HOT!! 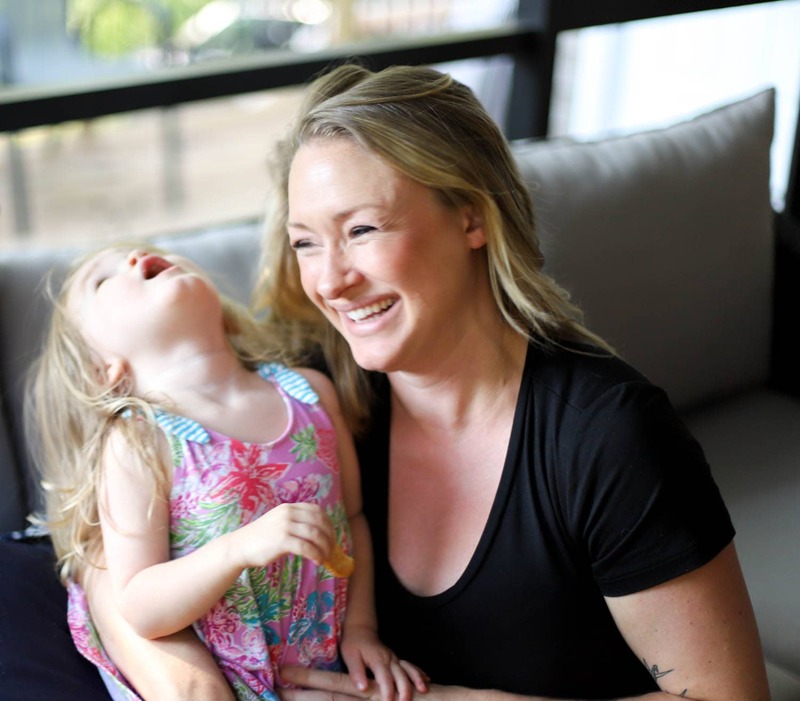 !” and somehow the act of taking a bit longer to make breakfast makes her think that she can walk around while eating, which we’ve become entirely too permissive with on mornings where we’d like to drink coffee without rushing around to fetch things and deliver them to the high chair. Beck loves these so much, in fact, that yesterday morning she had a full on meltdown because the last one of this particular batch had gotten moldy after we’d told her it was hers for breakfast. ~baby wailing~ “but I want to eat that last pancake I don’t want it to be in the trashcannnnnn…. !” Don’t worry, we fixed that one with a leftover chocolate chip bagel like the stellar parents we are. 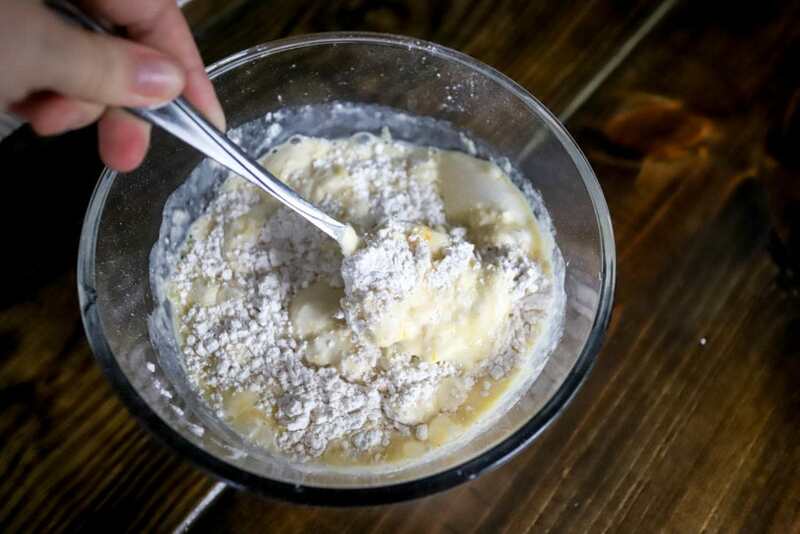 For this quick batter, you’ll need flour, salt, sugar, baking powder, melted butter, vanilla, eggs, and milk. Easy! Skip the vanilla and/or sugar if you’d like a more savory pancake, but I’m all about the sugar first thing in the morning. 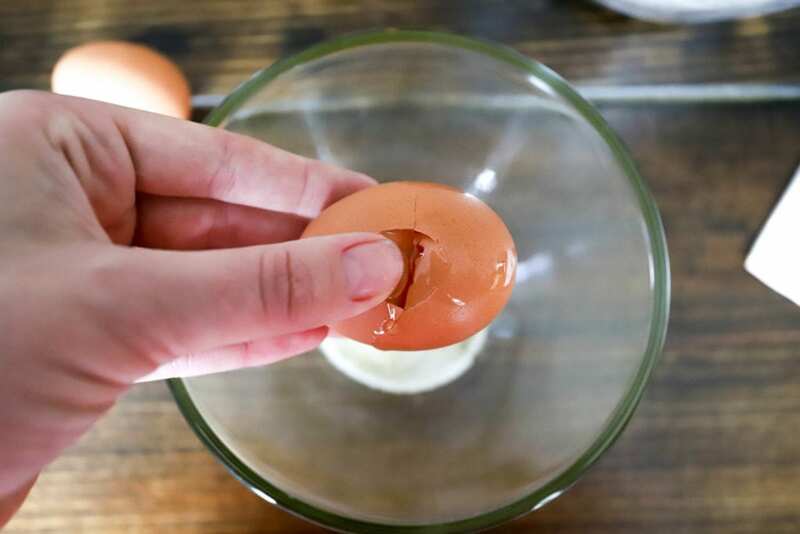 Start by combining the dry ingredients in a large bowl and crack the eggs in a small bowl. 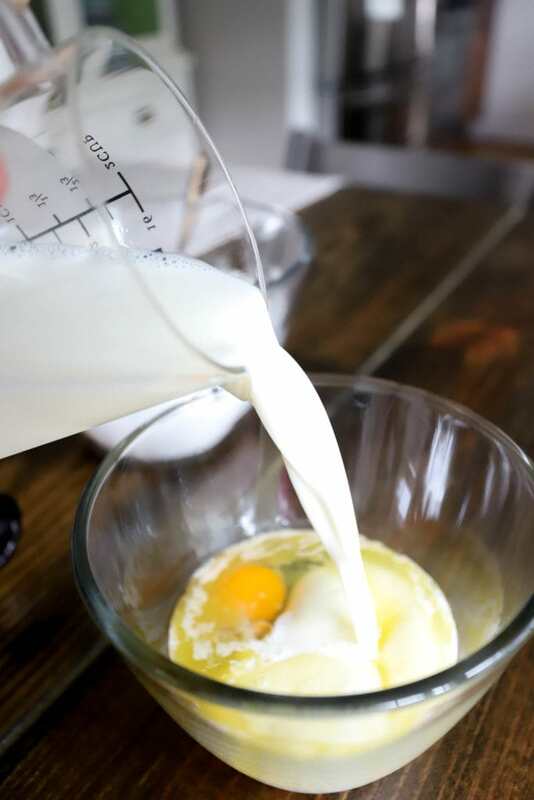 …then whisk the wet ingredients together to break up the eggs somewhat. 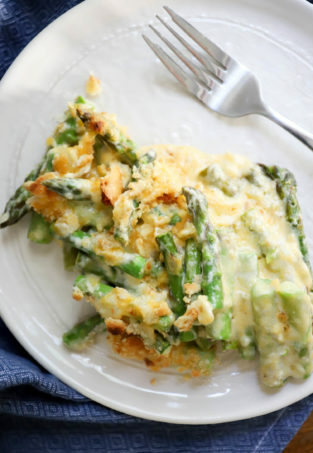 Add the egg mixture to the dry ingredients and stir gently to just moisten everything – it’s fine if there are some lumps in the batter. Add a few more splashes of milk if the batter seems especially thick; I use about 1 3/4 cup milk most of the time for these. 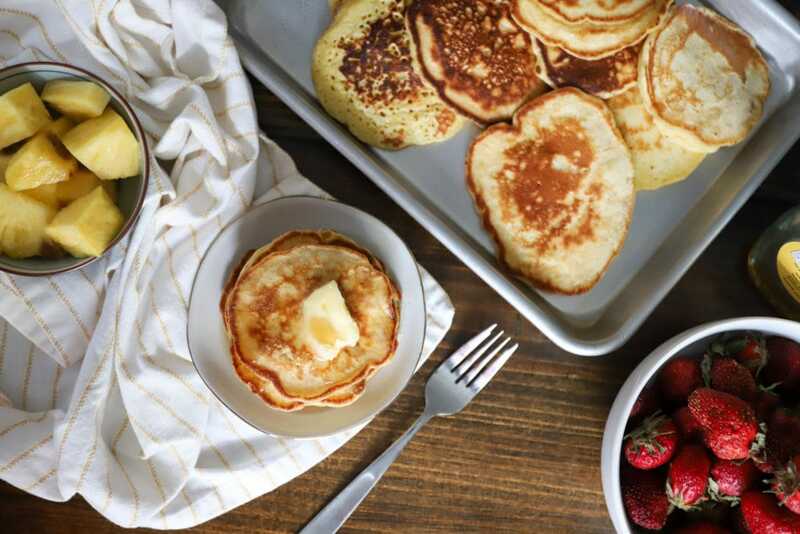 When you’re ready to cook the pancakes, heat a nonstick skillet (or a few!) or a griddle to medium heat with a pat of butter. 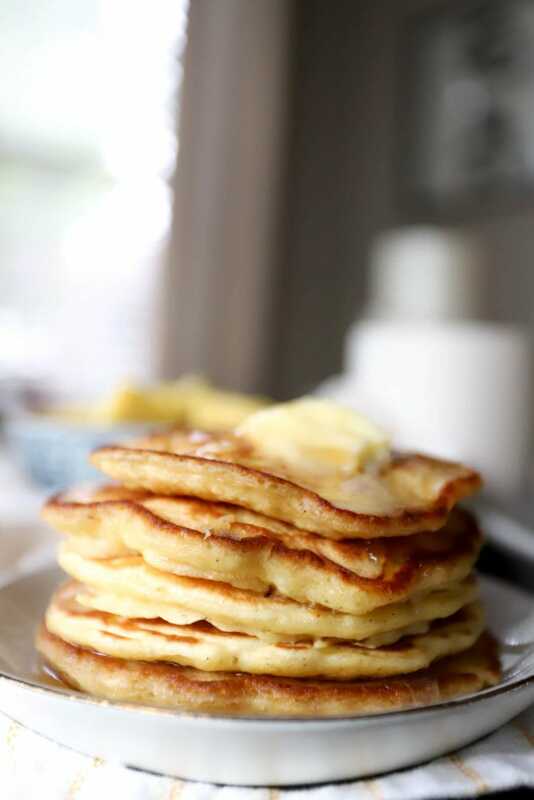 When the pan is hot, add the batter to make a few pancakes at a time – I use a 1/3 cup to make mostly-even pancakes. Cook the pancakes for 3 minutes or so on each side depending on how hot your pan is. When the first side starts to bubble, they’re ready to flip! After flipping, let the pancakes cook for another minute or two until golden, then remove from the skillet. 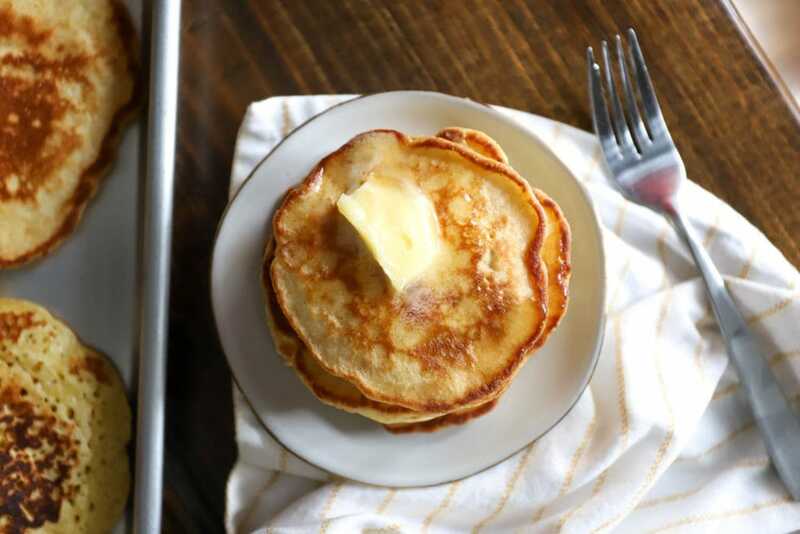 I make all of the pancakes at once – this batter changes textures somewhat when kept in the fridge overnight. 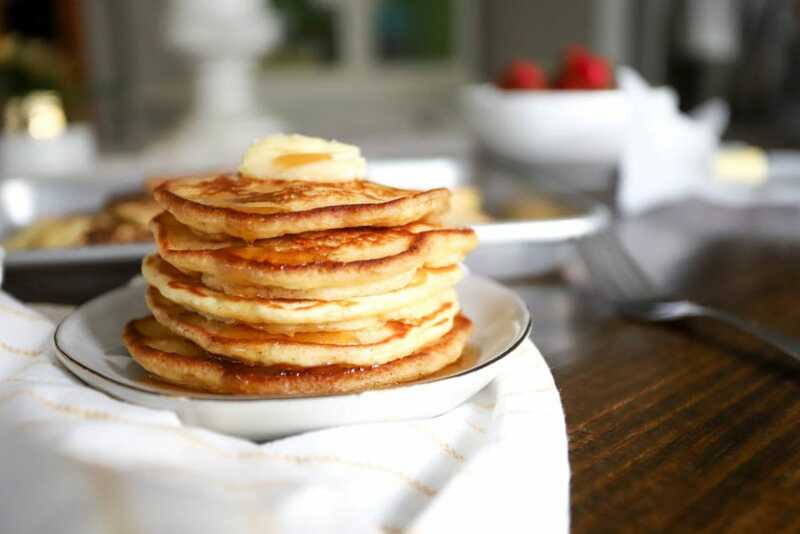 Like I said, I love these with butter and syrup, and throwing some fruit, bacon, sausage, or whatever else you like for breakfast on the table makes this feel fancy without a ton of extra effort. These are SO good. They’re light on the inside and slightly crispy on the outside from being cooked in butter, and they puff up just a bit but aren’t overly bready or cake-like. I use pats of salted butter because salt + sweet is not to be toyed with, but that’s just me. 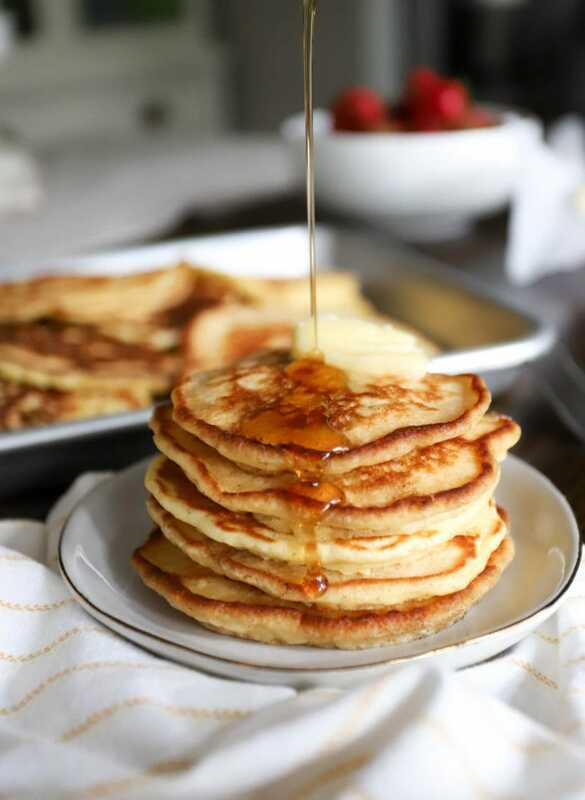 Here’s your weekend love, and the leftovers on a Monday morning are just the icing(syrup) on the cake(made of pancakes). Enjoy! 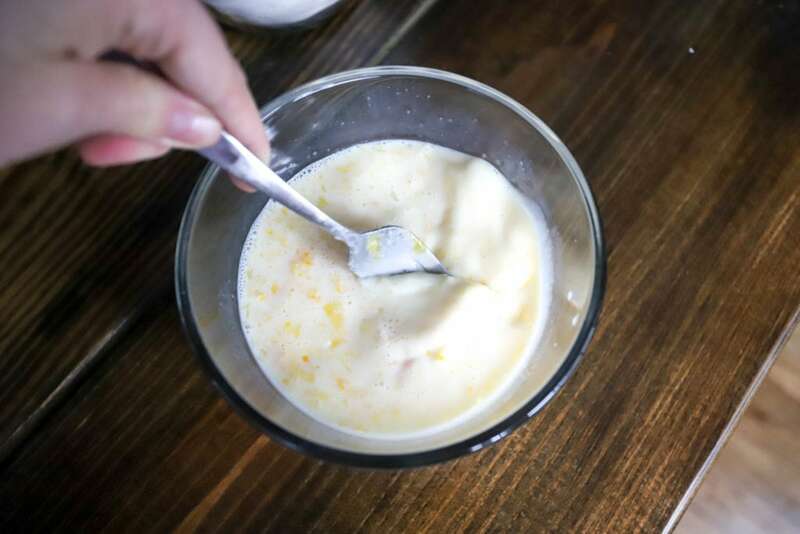 In a small bowl, whisk together the wet ingredients. 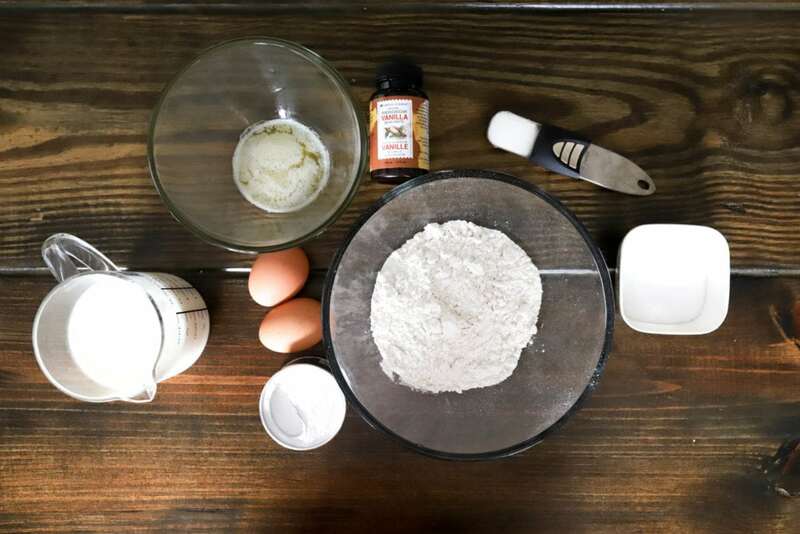 Combine the egg mixture with the flour mixture gently until just moistened. 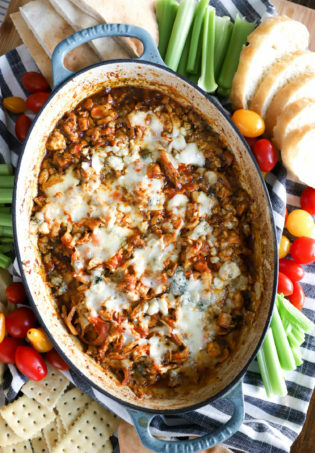 Heat a large nonstick skillet or griddle over medium heat with a pat or two of butter. When the skillet is hot, add the batter to the skillet to form pancakes - I use a 1/3 cup to make medium sized pancakes. 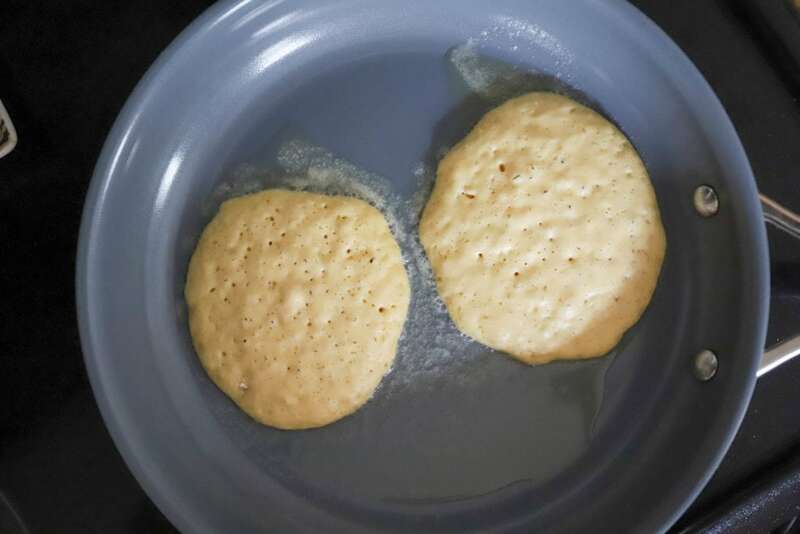 When bubbles form on the top of the pancakes and they have browned on the bottom, flip and cook until browned on the second side. Repeat until all of the batter is used. 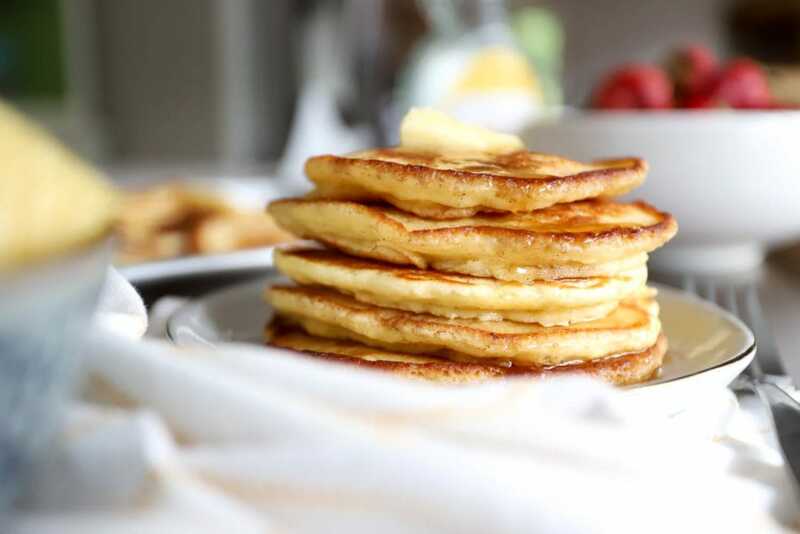 Serve as desired, preferably with loads of butter and syrup. mmm. 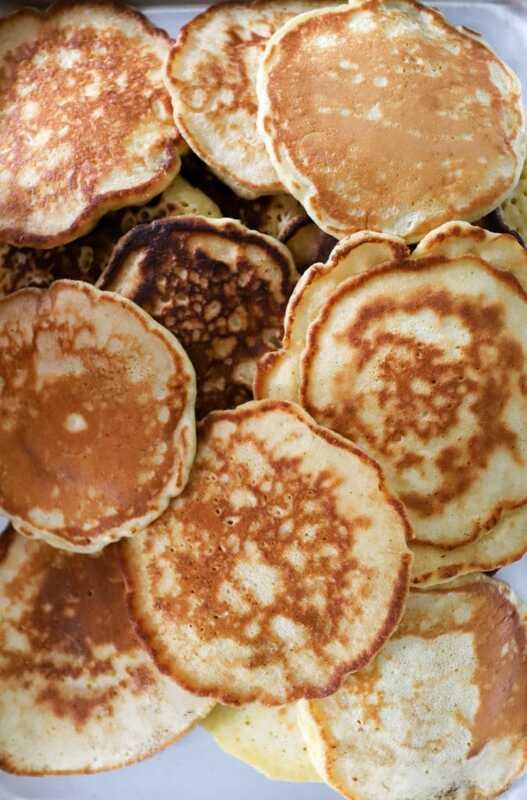 i like to make a bunch, shove them in a ziplock, freeze, and then toast or microwave them whenever i want a pancake. which tends to be at all meals. Which tends to be at all meals. CORRECT.